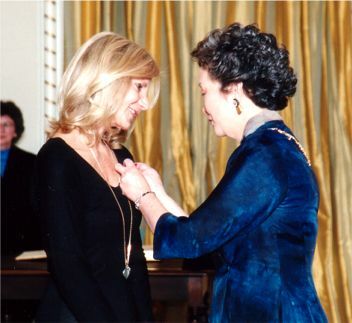 Carol Ann received the Order of Canada from Her Excellency the Right Honourable Adrienne Clarkson, Governor General of Canada. The Order of Canada was created on July 1, 1967 as a new symbol to express Canadian values by the late Prime Minister Lester B Pearson in commemoration of Canada's Centennial year. The Order of Canada is the centre piece of Canada's system of honours to pay tribute to those who exemplify the highest qualities of citizenship and whose contributions enrich the lives of their contemporaries. The Orders' Latin motto, desiderantes meliorem patriam – "they desire a better country" is engraved on each medal presented. 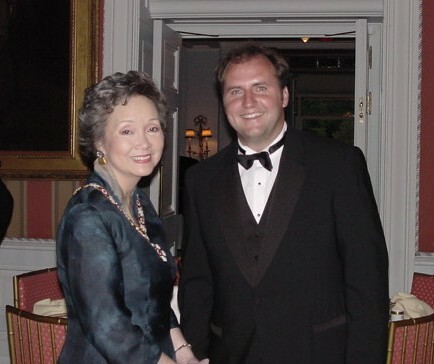 The medal bearing the number 2514 was presented to Carol Ann Cole by Her Excellency the Right Honourable Adrienne Clarkson, Governor General of Canada, in a ceremony at Rideau Hall on May 30, 2001. I would like to take this opportunity to offer my sincerest congratulations to you on your appointment to Member of the Order of Canada. Throughout your career, you have served our country with distinction. Your outstanding contributions to community and country have had a lasting and positive impact on Canadians. Best wishes for a future of continued success and prosperity." It gives me great pleasure to extent warmest congratulations to you on your appointment as a Member of the Order of Canada, for your outstanding achievement in the field of Voluntary Service. 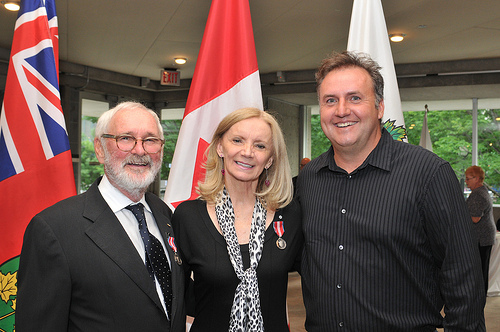 Your many worthy accomplishments, most notably your launch as a breast cancer survivor of the Comfort Heart Initiative as a major fund raiser for cancer research, and your tireless work for more than two decades in support of the homeless, have made the presentation of the Order of Canada eminently deserving. You have brought honour to Nova Scotia and to Canada. With my best wishes for continued success and happiness." 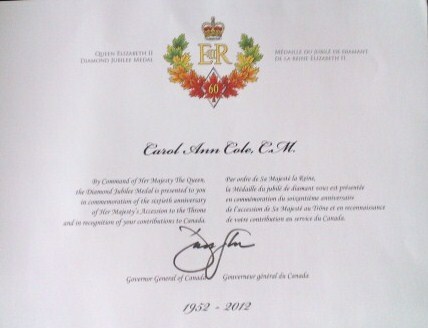 Carol Ann is one of the Canadians presented with the Diamond Jubilee Medal to commemorate the sixtieth anniversary of Her Majesty's Accession to the Throne and in recognition of her contribution to Canada. The Maclean's annual Honour Role issue is a marriage of pictures and words that together create the distinctive portraits of 12 Canadians who have made a difference. CAROL ANN COLE BELIEVES in a well-ordered universe - one in which everything, no matter how awful, happens for a reason. So she has to believe something good came from the lump she found in her breast in 1992, just five days before her 76-year-old mother, Mary, also learned she had breast cancer. Otherwise, the long treatment they both endured and her mother's death 11 months later would be without purpose. And Cole might still be a high-flying vice-president at Bell Canada, instead of finding deeper purpose as a tireless cancer crusader and fund-raiser "I work just as hard, I get no salary and I'm forever on the road," she says, smiling from amid the clutter of her small apartment-office in a Halifax high-rise. "But at the end of the day, I've never felt so fulfilled." At 52, Cole - who was born in Nova Scotia's Annapolis Valley - has harnessed the energy, drive and ambition that took her from the typing pool to the executive ranks to now become the driving force behind the marketing of a small heart-shaped pewter pendant dedicated to her mother's memory. With $6 of its $10 price going to cancer research, she has raised more than $700,000 for that effort in just two years. In October, she received the Canadian Cancer Society's most prestigious award - The Terry Fox Citation of Honour - for her "extraordinary, heroic contribution to the fight against cancer." And every day, her Halifax mailbox overflows with warm thank-you notes from cancer survivors and the family members of victims who find comfort and hope in her brainchild. "It's people like you and your mom," wrote a Toronto woman who recently bought two Comfort Hearts in memory of a sister-in-law who died from breast cancer, "that make a difference in this world." Cole and her mother, who were both living in Toronto at the time, fought the disease together. They took radiation treatments on the same day and bucked up each other's spirits when they inevitably sagged. Cole eventually had a lumpectomy to remove the tumor and the adjoining lymph nodes. It worked, but her mother's cancer was too far along. By the time her mother died, Cole, a single mother with one grown son, was back working as vice-president of Bell's installation and repair department. But the old drive to move up the company ladder was gone 'I was always a workaholic who loved every minute of it," she recalls. "Now, I felt like there was something else I should do with my life. In January, 1994, she took an early retirement package and threw herself full time into working with cancer patients. Five months later, on a visit to a Nova Scotia gift shop, she saw a shelf full of pewter Worry Hearts—designed, like worry beads, to soothe the holder during stressful times. At first, she bought 25 to pass out to cancer patents to hold while receiving treatment. Then, she thought why not sell the pendants and use the money for cancer research? She persuaded the local manufacturer, Oceanart Pewter, to change the name and join the effort. Next, Cole bit the sales circuit—making speeches, appearing on talk shows and doing whatever it takes to promote her shiny little hearts. So far, she has sent out almost 22,000 personal letters from her home. Her next goal: spending more time pounding on boardroom doors to get corporate support. "It's like my new life and the old one are coming together," she says. Now, if she can just convince her old business buddies to share her new passion and purpose. The Terry Fox Citation of Honour, the highest form of recognition by the Canadian Cancer Society, is awarded each year in accordance with a specific criteria. Breast cancer survivor Carol Ann Cole has turned pewter into pure gold by raising $700,000 for the Canadian Cancer Society (CCS) for cancer research. Carol Ann created the Comfort Heart, a small pewter heart that brings comfort to cancer patients as well as raising money for research. To recognize her significant contribution to cancer control, the Canadian Cancer Society presented Carol Ann with its most prestigious award - the Terry Fox Citation of Honour - at a ceremony on October 17. Terry Fox was the first recipient of this award created by the Canadian Cancer Society to recognize a person's extraordinary, heroic contribution to the fight against cancer. "I'm thrilled to accept this award from the Canadian Cancer Society,'' says Carol Ann, who lives in Halifax. "To have my contribution recognized by an award in memory of Terry Fox, who made such a great impact in the fight against cancer, is a great honour. This award is a special tribute to my mother - much of my work with the Comfort Hearts is in her memory." Both Carol Ann and her mother, Mary, were diagnosed with breast cancer in January of 1992. Carol Ann survived; her mother did not. 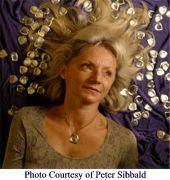 During her own experience with breast cancer, Carol Ann discovered the soothing effects of Oceanart Pewter's Worry Heart. Seeing the potential of the Worry Heart, Carol Ann, a former Bell Canada Vice-President, negotiated an agreement with Oceanart Pewter to manufacture the renamed Comfort Heart. She introduced her fundraising venture to the Canadian Cancer Society in 1996 and since then the CCS's extensive volunteer network has helped sell the Hearts across Canada. Each heart is sold for $10 with $6 going to cancer research. Carol Ann's initial goal was $500,000 but having surpassed that, she's now set her sights on $1 million. ''Carol Ann is an excellent example of the high caliber of volunteers we have at the Canadian Cancer Society," says Dorothy Lamont, Chief Executive Officer of the Canadian Cancer Society and National Cancer Institute of Canada. Carol Ann adds that Canadians and Corporations from coast to coast have embraced the Comfort Heart with enthusiasm. "I hope this support continues as I work toward my goal of raising $1 million for cancer research." One Terry Fox Citation of Honour is awarded each year by the Canadian Cancer Society in accordance with the following criteria: the person's contribution is national in scope; the person is experiencing cancer or is a cancer survivor; the person's contribution to the fight against cancer has been carried out with personal sacrifice; the person's contribution has significantly helped to further the mission of the Canadian Cancer Society or that of the cancer control community, generally; the person's contribution is of a lasting, enduring nature. Comfort Hearts are available across the country through your local CCS office. First Annual Hope Awards honour media personalities who give the "GIFT OF HOPE AND COURAGE"
"GIFT OF HOPE AND COURAGE"
The Celebration of Hope Luncheon is presented by York Region Breast Cancer Friends in partnership with the Markham Stouffville Hospital Foundation on behalf of the Hospital's Breast Cancer Health Centre and the Canadian Breast Cancer Foundation. Q107 radio personality, Maureen Holloway. Allan Bell, Director Corporate Sponsorship & Special Events for the Markham Stouffville Hospital Foundation, says: "Each Award recipient has been an inspiration to thousands of people that are currently facing the same battle. In their own way, they have given numerous people hope and courage that there is a meaningful life after a cancer diagnosis. We are honoured to salute them!" Jewish Women International of Toronto "Woman of the Year"
"The Comfort Heart" initiative was born. It turned out that the owner's sister was a cancer survivor, says Cole. The hearts, which are impressed with a thumbprint, sell for $10 -$6 goes to research. "When someone rubs that thumbprint, it gives them comfort and hope, and serves as a constant reminder that they are not alone". They can think of the person that gave them the heart, or of the people to whom they've given other hearts. I send a note with each heart ordered, so there is a personal touch to it. "If I know someone is having a treatment, or needs a morale boost, I tell them that I'll give my own comfort heart a rub; it helps emit positive feelings". There is a lot of power in positive thinking. People dwell too much on the negative. They are happier if they can force themselves to focus on positive thoughts. It's natural to have a pity party, but people have to eventually think positively. It makes the ordeal a lot easier. "Comfort Hearts, she says, are one small way to join together in the struggle against cancer and other challenges by gaining strength from each other". To commemorate the 50th anniversary of the accession of Queen Elizabeth 11 to the throne the Government of Canada created the Golden Jubilee Medal. Carol Ann added this medal to her growing collection. Former Bell Canada Vice President Carol Ann Cole received a big surprise while wrapping up her presentation as keynote speaker at the annual Fall Meeting/Reunion of the Toronto & Area Chapter BPG (Bell Pensioners Group.) BPG President Linda Terrill presented Carol Ann with the Golden Jubilee Medal created by the Government of Canada to commemorate the 50th anniversary of the accession of Queen Elizabeth 11 to the Throne in 2002. 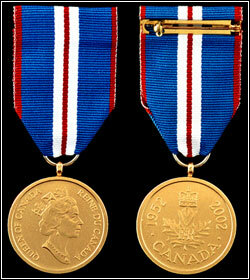 The medal was awarded to Carol Ann for her outstanding community service during her career with Bell and beyond. As the founder of the Comfort Heart Initiative, a fund-raiser that has raised over one million dollars for cancer research, Carol Ann personally responds to every Comfort Heart order that finds its way to her door. "A Celebration of Women from a Dozen Outstanding Canadians" featured Carol Ann as one of the dozen – a special supplement to National Post. Editor Christopher Loudon worked with a cross section of Canada's best and brightest as they shared their responses to five pertinent questions. "Carol Ann Cole charmed everyone with a warmth and compassion that is, quite literally, heartfelt." Growing up, which Canadian women most inspired you? When I was very small, just starting school, I admired a woman by the name of Gloria Sanfree. Then, as I began to understand the words to 0 Canada, I realized it wasn't "Gloria Sanfree," it was "glorious and free" So, in fact, the first woman I admired didn't exist. The second woman, who has been an inspiration for me through my entire life, is my own mother. My mum raised four daughters. We were always "her girls" When she was 50 years old, she was forced to go out of the house and go to work for the first time and raise her two youngest daughters on her own. And she retired at 65 with a pension, which is something that not everyone is able to achieve. As I think back, now having lost my mother, I admire her more and more. She will continue to be an inspiration for me, always. What do you feel has been the greatest advancement for women in your Lifetime? As women, we've discovered our voice, and have developed the opportunities to use that voice. I'm not a great proponent of the placards and the bra burning and the shouting and screaming. When we have something to say, we need to be listened to. And it is, I think, only in the last ten years or so that our voices have, in fact, been heard. They're stronger. They're clearer. We have more of a conviction; we don't apologize for what we have to say because what we have to say is very meaningful. I do a lot of work in the breast cancer community. My mother's generation called it "the big C." Nobody mentioned the word "cancer." Now we talk about it very openly. People stand up at the forums and ask very specific questions. I love it when I'm in a room filled with volunteers and all of a sudden a woman who has been particularly silent finds her voice. And, indeed, she ends up contributing more than just about anybody else, because when she does find her voice she has something to say that is particularly powerful. In terms of women's rights and freedoms, what do you think tops the "to do" list? Sadly, on the heels of September 11th of last year, I think it is equality. When I think about the horrible things we read about and hear about happening to women not just in Afghanistan but in many different parts of the world, I realize just how far from equality we remain. There are so many steps that still have to be taken. It is at the very top of my to-do list, and I hope on the top of many other to-do lists, too. How does the idea of International Women's Day speak to you personally? I think it is very necessary now because, while we have come so far, we still have a long way to go. I have to say, though, that I wish it weren't necessary, and I look forward to the day when there's an international day that addresses all sexes, all races, all religions. If you could spend an evening with any three women, who would you choose? First of all, my mother. I would love to have her in the room for several reasons, particularly because the second woman I would pick is my daughter-in-law, Tracey Scott. Tracey didn't have the opportunity to get to know my mother, and I think it would be wonderful if the two of them could sit down and talk The third woman I would love to have in the room is named Peace. She is the mother of my foster child, Amos, who lives in Uganda. You hear a lot about foster children and about what we, as foster parents, do for the children. But you hear very little about their mothers. When I first became a foster parent, Amos couldn't read or write. He's going to be ten this year, and now his letters are wonderful. In one letter, he mentioned that his father had died, and enclosed a picture of himself and Peace; and it crossed my mind that I would very much like to know a whole lot more about her. Ms. Cole has asked that her donation be made to the Canadian Breast Cancer Foundation.